On November 6, three deep-red states approved ballot initiatives to expand Medicaid to low-income households. Once in effect, residents in Nebraska, Idaho, and Utah will join 37 other states and Washington, DC in providing basic health care coverage to thousands of low-income households. 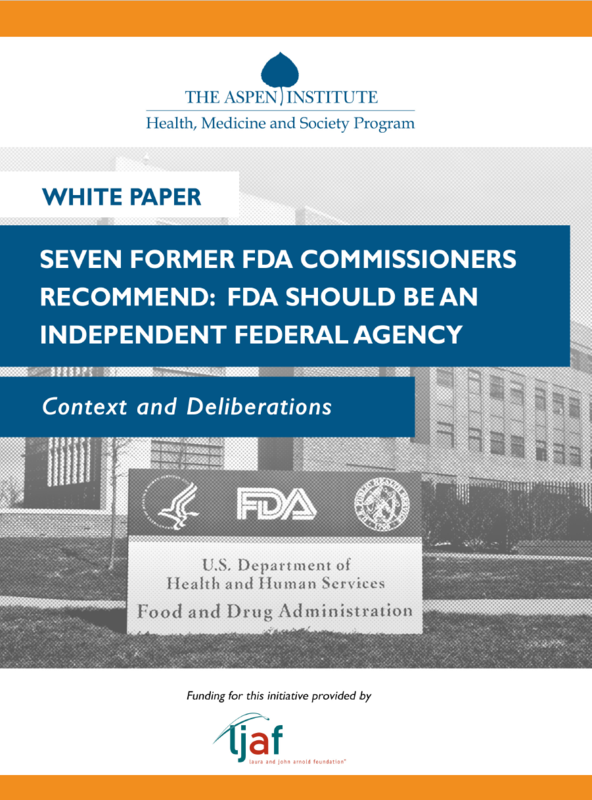 Currently, Medicaid covers more than one in five individuals throughout the United States. The expansion will specifically impact households that make less than 138 percent of the federal poverty level – about $17,000 for a single individual and $34,000 for a family of four. This makes a combined 363,000 more people eligible for Medicaid in 2019. The expansion of Medicaid will not only enable more people to get the medical attention they need, it will also help prevent them from taking on new medical debt. Nationally, 18 percent of Americans have medical debt in collections with a median amount of $681. However, these numbers are dramatically different for white and non-white populations, especially in Nebraska, Idaho, and Utah. 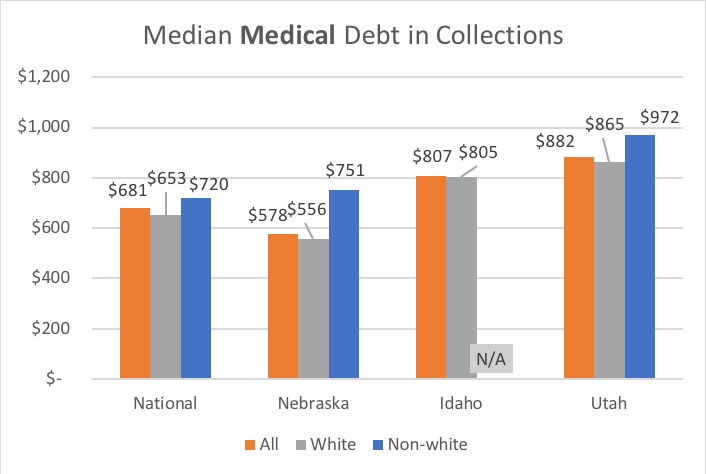 In all three expansion states, people of color have nearly twice as much medical debt in collections as their white counterparts, as well as having higher balances. Lastly, the uninsured rate for people of color is higher in all three states than the national averages of white and non-white populations. Medicaid expansion in Nebraska, Idaho, and Utah will extend health insurance coverage to approximately 363,000 Americans, in addition to unmeasurable multiplier effects. 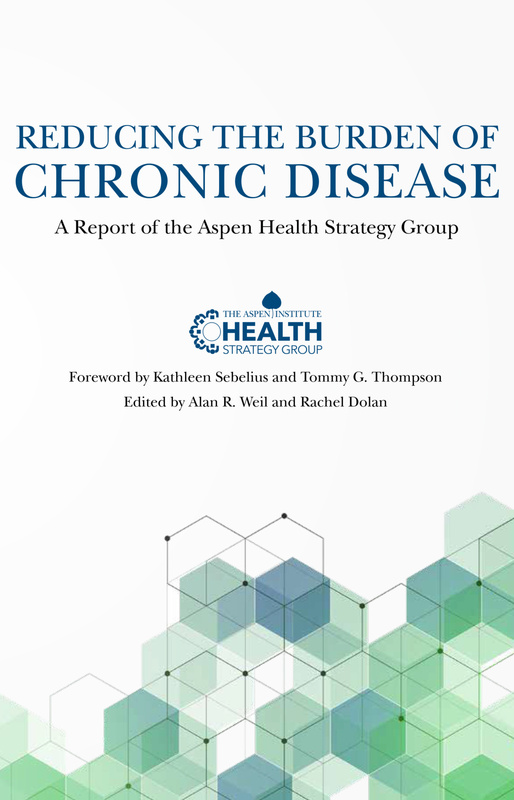 States that expanded their Medicaid programs under the Affordable Care Act in 2014 have seen increases in health outcomes, particularly improvements in mental health outcomes, and reductions in overall medical debt and collections activities. On average, uninsured rates declined by nearly 5 percentage points between 2013 and 2017, to a record low of 8.8 percent. Moreover, expansion has resulted in significant increases in coverage among low-income populations. For adults with an income below the federal poverty line, uninsured rates decreased by over 50 percent between 2013 and 2017. Since medical debt is the most common type of debt in collections, when Medicaid expands, medical debt for low-income households drops dramatically. A 2016 study by the National Bureau of Economic Research found that enrolling more low-income residents in Medicaid reduces the average amount that individuals have in collections by nearly $1,000. 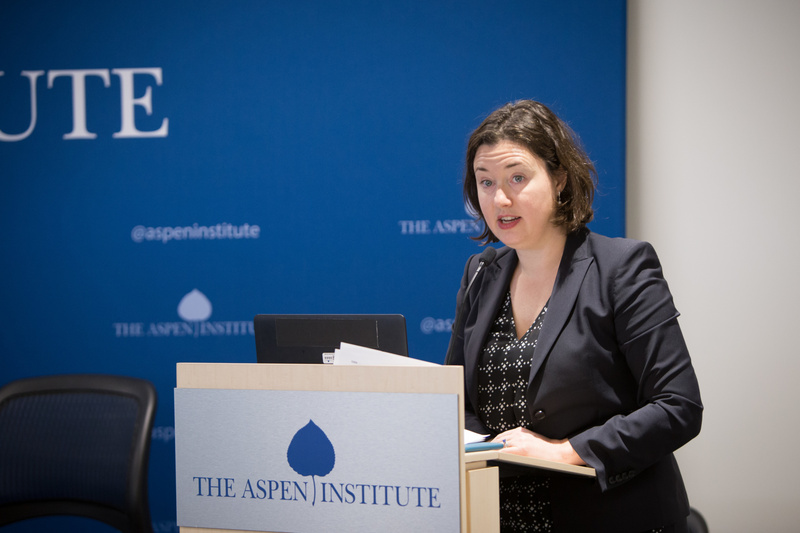 Additional research found that Medicaid expansion in Michigan improved several aspects of debt-related financial insecurity, including reductions in overdue medical bills, maxed-out and overdue credit cards, wage garnishments, and bankruptcies. On average, states that expanded Medicaid in 2014 saw significant improvements in their unemployment rates and reductions in the rate of medical bankruptcy and uncompensated care. 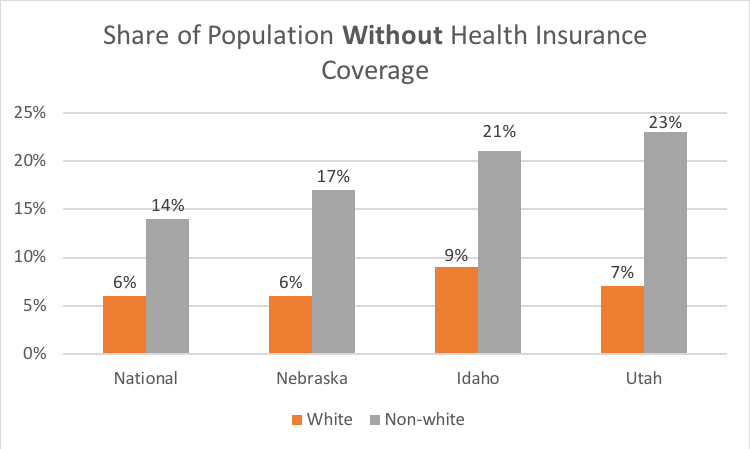 In Nebraska, 6 percent of the white population does not have health insurance, while 17 percent of the non-white population remains uninsured. 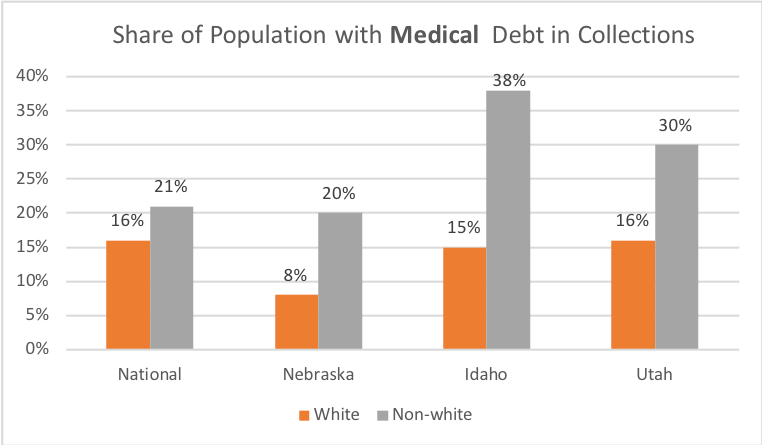 Overall, Nebraskans have a median amount of $578 worth of medical debt in collections, with white residents having on average $556 compared to $751 for non-white residents. Medicaid expansion will extend coverage to approximately 90,000 low-income residents, including nearly 70 percent of all Nebraskans whose employers do not provide health insurance. 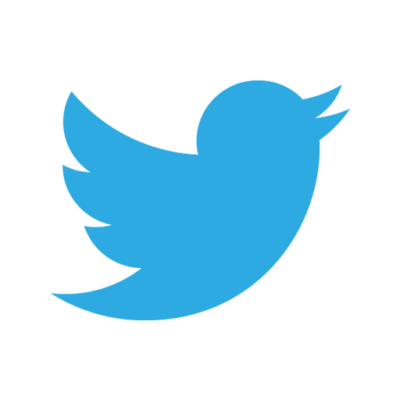 The expansion is estimated to spur $600 million in annual tax revenue each year and sustain nearly 10,000 jobs. Nebraska hospitals, many of which are facing financial stress, should see a reduction in uncompensated care of $343 million over a three-year period. In Idaho, 11 percent of the population does not have health insurance. A shocking 38 percent of the non-white population has medical debt in collections, compared to 15 percent of the white population. The median amount in collections for the population is $807. Idaho has the highest overall debt levels of the three expansionary states, with a median debt of $1,662 in collections compared to $1,462 in Nebraska and $1,505 in Utah. Medicaid expansion in Idaho will provide health care to an estimated 62,000 residents and bring in $400 million in additional tax revenue. The expansion will also preserve rural hospitals and county clinics throughout the state. Idahoan taxpayers will save nearly $15.6 million dollars per year due to the elimination of existing state programs used by residents who will now be covered by Medicaid. A study by the University of Idaho found that expansion will generate 5,000 new jobs. With 13 percent of Idaho’s population living in poverty and large amounts of medical debt in collections, Medicaid expansion in this state has the potential to shield many families from debt and boost their financial security. However, a lawsuit filed in late November of 2018 challenging the expansion puts these families’ financial future in jeopardy. Of the three states that passed Medicaid expansion laws, Utah residents have the highest median medial debt in collections at $865 for white residents and $972 for people of color. Utah also has the largest racial disparity in uninsured rates among the three expansion states at 23 percent for people of color, compared to only 7 percent of the white population. 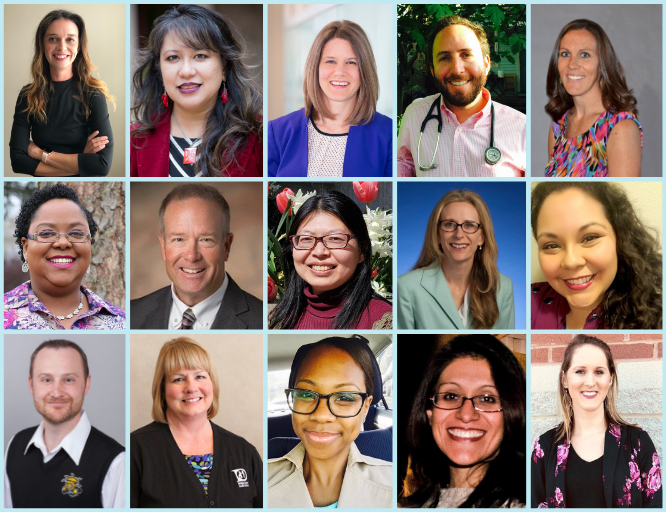 Record-breaking midterm election turnout in Utah secured the votes necessary to expand Medicaid through ballot initiative. Expansion will benefit nearly 150,000 residents, a third of whom are parents. The expansion will bring in an estimated $800 million in additional tax revenue each year, create 14,000 new jobs, and generate $1.7 billion in economic activity statewide. Medicaid expansion provides a real opportunity to transform the lives of hundreds of thousands of low-income Americans, not only by providing critical, affordable medical care, but reducing and preventing the burden of medical debt. 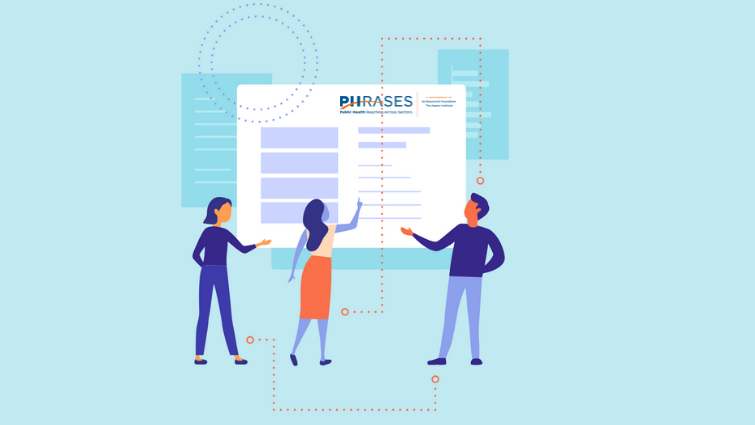 More pivotal options available to state and federal policy makers as well as valuable actions for the private sector, non-profits, and other stakeholders are outlined in EPIC’s newly released Solutions Framework.